Welcome! The Goah Diversity Scholars program recognizes full-time undergraduate students who enhance the educational experience of all students by sharing their diverse cultural experiences. The program includes regular meetings, campus and community events, service projects, personal development opportunities, and campus events. The program is much more than a scholarship. It includes academic, service, and leadership requirements. In the first year, there were 25 scholars. By the fall of 2013, there were 80 Goah Diversity Scholars having an impact in every area of campus life, including student government, theatre, athletics, music, social events, worship, and the classroom. From the dining hall to the residence halls to the classrooms to the playing fields, Milligan College students live, work, learn, pray, and play in a diverse community. When alumni return for a visit, they immediately see the difference. Faculty experience the increased depth of classroom conversation and the multiple points of view brought to bear on various issues. Current events in our country generate difficult conversations precisely because there are minority students present on campus. The scholarships are entirely funded by the college, evidence of the deep institutional commitment to diversity. 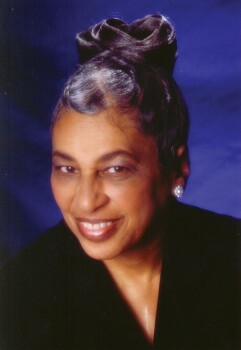 The name of the scholarship is also significant: it is named for Betty Hill Goah, a local African American woman who was well known as a community activist working on behalf of the poor, the sick, minorities, the homeless. She was also an alumna of Milligan. Betty Hill Goah thought Christians should never “talk the talk” unless they were also willing to “walk the walk.” And so she devoted her life to walking the way of Jesus, working tirelessly as a voice for the voiceless and as an advocate for the powerless. Betty served on various regional boards and local agencies in Johnson City that assist and support our most vulnerable neighbors. Her vision, passion, and persistence inspired all who met her. Betty was a faithful member of Thankful Baptist Church in Johnson City, Tennessee, until her death in March 2006. In 2007, ethnic minority students made up only 5% of the Milligan College student body. By 2010, the number of ethnic minority students had increased to 14% of the student body. This dramatic increase was no accident. It began in prayer and was energized by a deep commitment to the idea that diversity is God’s intention and desire, that Milligan needed to take a proactive role in bringing about diversity, and that a multi-pronged approach would be necessary. “We will be a strong, vibrant, and diverse Christian collegiate community” was part of the Long Range Plan approved by Milligan’s Board of Trustees. Strategic goals included creating a welcoming and diverse environment, increasing the level of cultural competency of all students, increasing multicultural classroom experiences, and increasing multicultural social and co-curricular experiences. These goals translated into specific actions, under the direction of Vice President for Enrollment & Marketing Dr. Lee Harrison. The president appointed a Multi-Ethnic Resource Team, including faculty, administrators, staff, and students. The college hired a Director of Diversity and established an Office of Diversity Services in 2007. Today, the Director of Multicultural Engagement works closely with Academic Affairs to help the college realize its goals more fully. Faculty development, curricular development, increasing diversity of the faculty, facilitating greater multicultural understanding—all these remain important goals as the college continues to pursue a diverse community that provides a living picture of the Kingdom of God.